Australia now has almost 1,000 coffee brands with everyone claiming they have the best and the freshest product. No wonder our industry is regarded as saturated and it’s become confusing trying to determine the real leaders and innovators in quality coffee. Carlini Coffee Company has won 30 medals in the last 6 years – consistently ranking in the top tier within the toughest coffee roasting competitions. In March 2016, we won the Royal Sydney Coffee Awards – Best In Show, Champion Roaster, Gold, Silver Bronze medals. 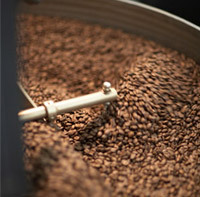 Our wholesale coffee beans and retail coffees are sent daily to every part of Australia and New Zealand. We are the largest supplier of premium coffees to the online market in Australia and specialize in contract or private label roasting to exacting standards – coffees created with extreme precision using best-in-class roasting plants. We have engineered, fully redundant, Tier-1 infrastructure – our facilities are considered on par with the best in Australia. We hold an extensive range of premium single origin coffee beans, traceable ethical and socially responsible FAIRTRADE coffee, Organic and Rainforest Alliance coffees, exotic micro lots and Direct Trade coffee for sale. Have we reached peak coffee in Australia ?